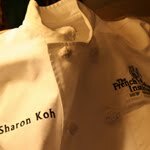 Yesterday we started the unit on Plated Desserts... this unit is all about the sort of desserts you get at restaurants. We made a bunch of custards, chilled them and plated them today. First up was a classic creme brulee. I think my favorite thing about creme brulee is breaking the caramelized sugar... which of course, I did right after I took this picture. 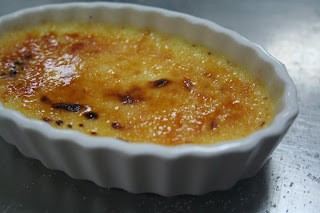 I don't care much for creme brulee in general. Next was the Marquise. 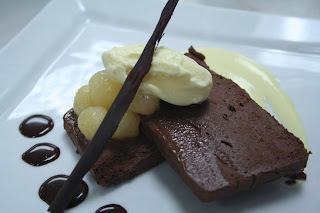 It's like a denser version of a chocolate mousse. This was my favorite of the day. We plated the Marquise on Creme Anglaise, Pear Compote, Vanilla Ice Cream, Chocolate Sauce and garnished with a chocolate cigarette. The final dessert plated today was a Creme Caramel served with pineapple-cilantro compote, a tuille on top of some whipped cream. 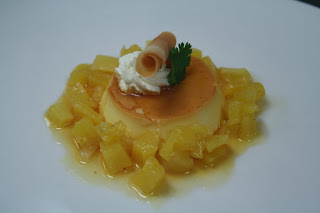 I think the pineapple compote does not quite go with the custard and visually they look unexciting when plated. I would have prefered something with more color contrast. Nonetheless the creme caramel was extremely smooth... like silken tofu. Yesterday I also attended an interesting demonstration by the owner of the Brooklyn Farmacy and Soda Fountain. 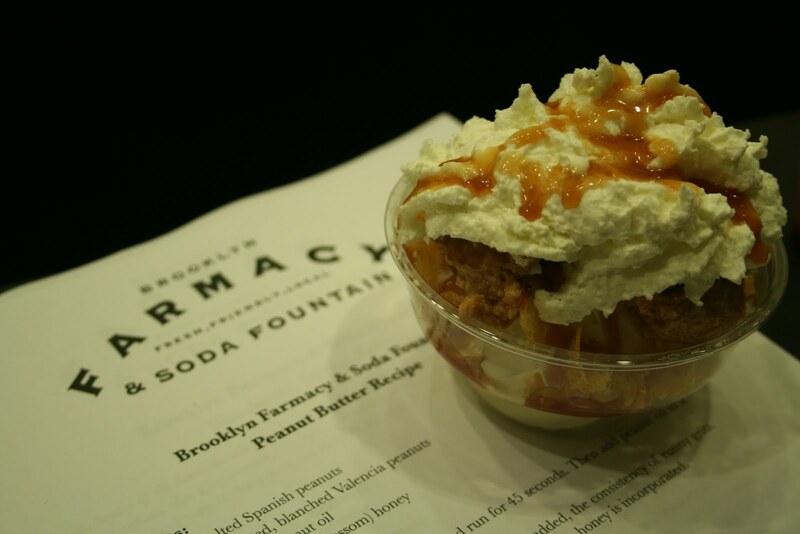 The blueberry soda and peanut butter potato chip sundae were both extremely delicious. The blueberry soda was made from local fresh blueberries and the ice cream for their sundae is made from dairy sourced from just a few dairy farms in upstate NY. I highly recommend the establishment if you have a soft spot classic sweet treats are into the farm to table movement.